This case was built for Oxygen Lightworks. The case is designed to hold 8 GLP Volkslicht RGB moving fixtures with clamps attached. 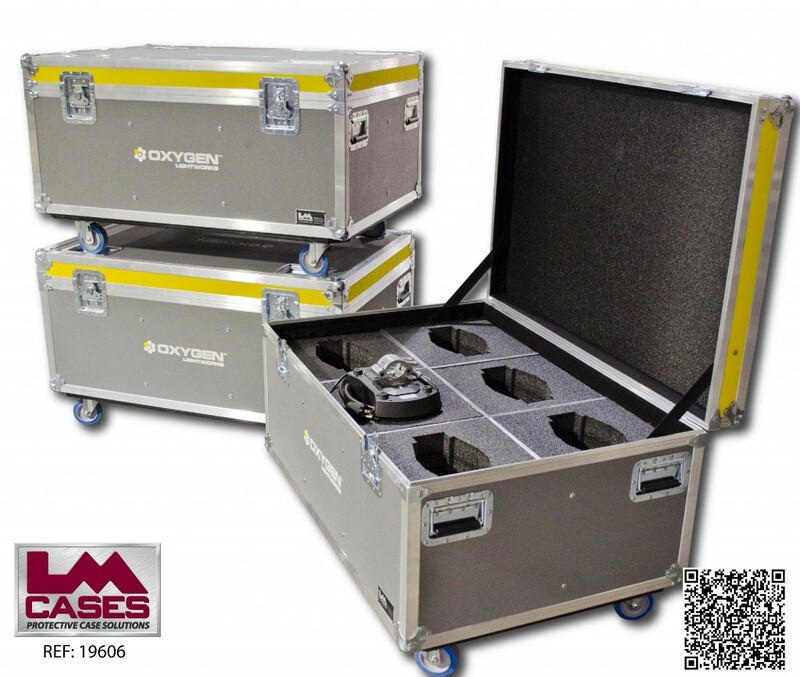 The fixtures ride in a hanging configuration in a custom CNC cut foam insert. 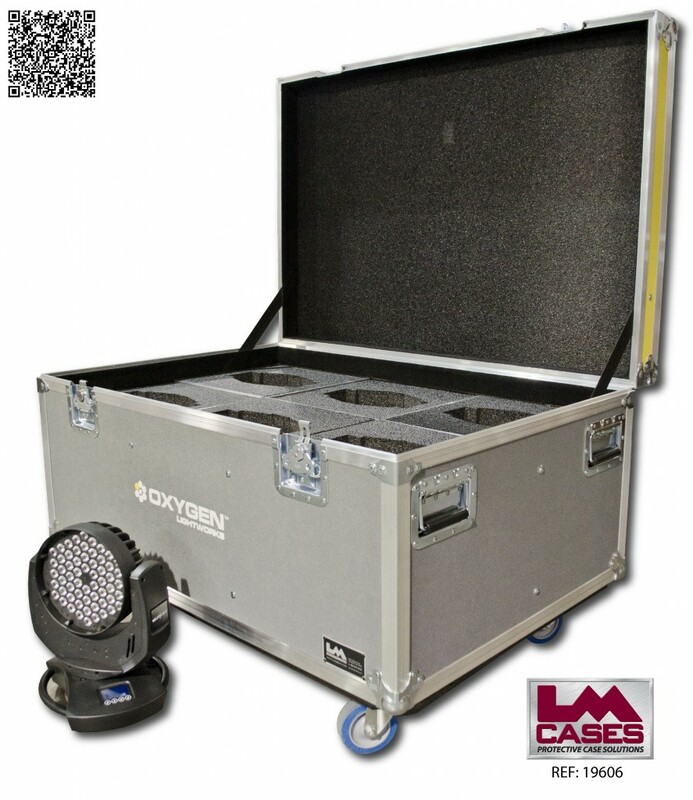 The lights can be placed in the insert in any direction to allow for easy loading and unloading. 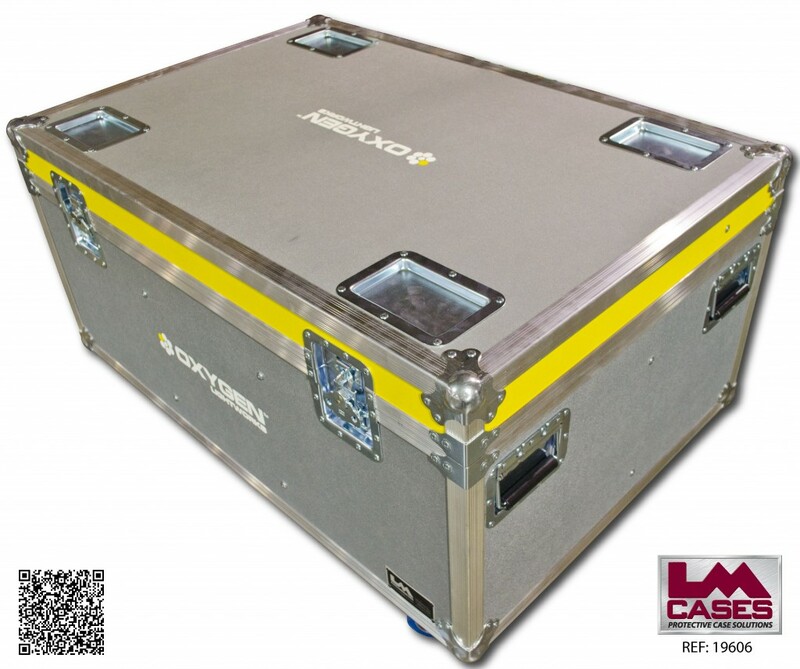 The exterior case is built out of 3/8" silver plywood and features yellow lid strips to match the companies color motif. The case also features 4" Colson casters, stacking caster wells in the lid, and a custom 2 color silkscreen of the OLW logo. Special thanks to Oxygen Lightworks!